- Hey, did you know that it’s almost Thanksgiving? That’s right…you have family coming over next Thursday. So, if you’re looking for some local flavor on your Thanksgiving table, take a look at Friends and Farmers Cooperative‘s Online Market, featuring a variety of local produce and other products. You can get them delivered to the following zip codes: 16801, 16803, 16823, 16827, 16828, 16832, 16851, 16864, 16868, 16870, and 16875. - Tait Farm is sweetening up things with a chocolate and caramel tasting Saturday from 2:00-4:00 p.m. No more needs to be said, really…because chocolate and caramel. - What are you doing tonight? 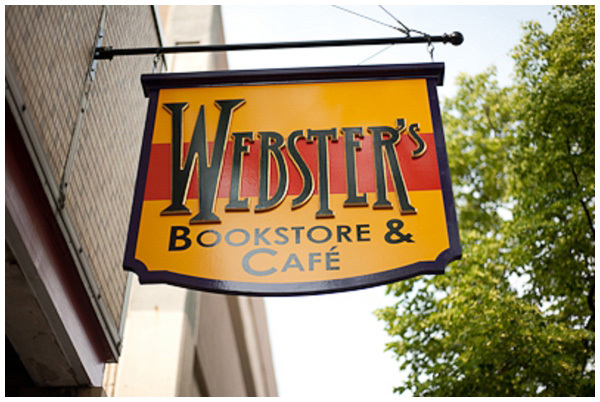 Here’s an idea: Dinner and music at Webster’s Bookstore Cafe. This week’s tantalizing dinner includes: local pork loin, stuffed portobellos (vegan), local organic roasted red potatoes, local organic delicata squash with local apples and thyme, local organic Romanesco cauliflower, and bread pudding for dessert. Raven and The Wren will be on at 8:00 p.m. with The Tommy Roberts. - Why not make it a whole weekend of local food dinners? The Winemaker’s Harvest Dinner at Mt. Nittany Vineyard & Winery will be held Saturday from 6:00-8:00 p.m. Enjoy the fruits of the harvest and the company of fellow wine lovers at this beautiful setting on the side of Mt. Nittany. Wines will be selected to accompany each course catered by Brown Dog Catering. Make your reservation today at (814) 466-6373.